Empower is all about choice. With Clear, metal, and molar options, as well as interactive and passive designs, Empower's complete system allows you to customize treatment that fits your philosophy and your needs. Empower is the first in the industry to offer you the versatility of either interactive or passive bracket designs in one unified system with coordinated in/outs. 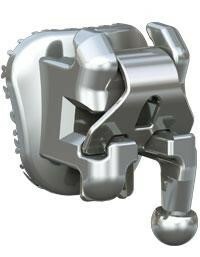 Empower's Interactive and Passive bracket designs allow unprecedented treatment options. Empower's interactive self ligating system offers the benefits of lower ligation forces at the beginning of treatment and more control in the later stages to assist with final torques and rotations. Empower's passive self ligating system offers the benefits of lower ligation forces and lower force mecahnics throughout treatment. No wires are actively engaged by the clip.